The OECD organized a conference for initiating an international dialogue between the best practices that aim to renew public sector functions. Demos Helsinki was invited to the OECD’s headquarters in Paris to present the Finnish approach to experimental policy making. The Finnish model was listed as one of the top four solutions that can help the public sector cope with increasing complexity and a rapidly changing landscape. According to the OECD, it is plausible that societies are in the midst of moving from one paradigm to another. Climate change, eroding trust towards decision-making, and the aging of societies are examples of vital problems that hamper governments’ abilities to operate efficiently and effectively. Public sector machinery is struggling – it does not seem to be fit for dealing with the rapid changes and complex problems of the new world. New tools are needed. The OECD has taken on a role in helping states adjust their machinery to better cope with today’s world. It has been benchmarking public sector innovations around the world. 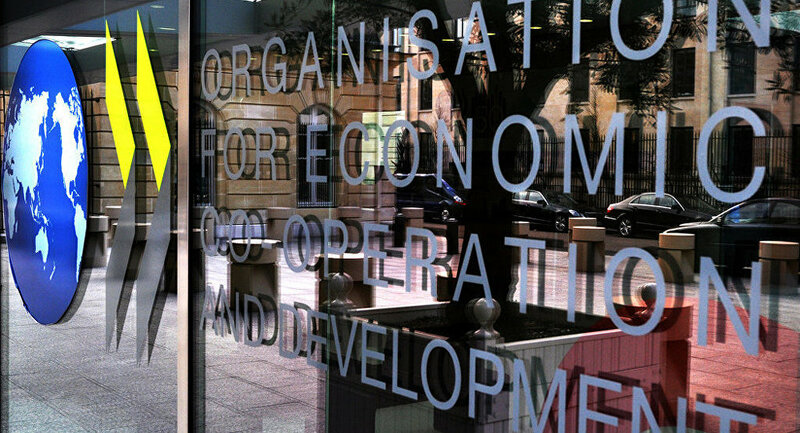 In Paris, the OECD pre-launched a publication that included an in-depth analysis of four top-level public sector innovations. Cases included a child protection service innovation from the Netherlands, a new way of responding to domestic violence in Iceland, as well as engaging with the sharing economy in Canada. Furthermore, one case from Finland made the shortlist. Finland is the only country in the world where experimentation is part of the highest political agenda, the Government Programme. Two years ago, Nordic think tank Demos Helsinki prepared a model that enables Finnish ministries to experiment with policies. 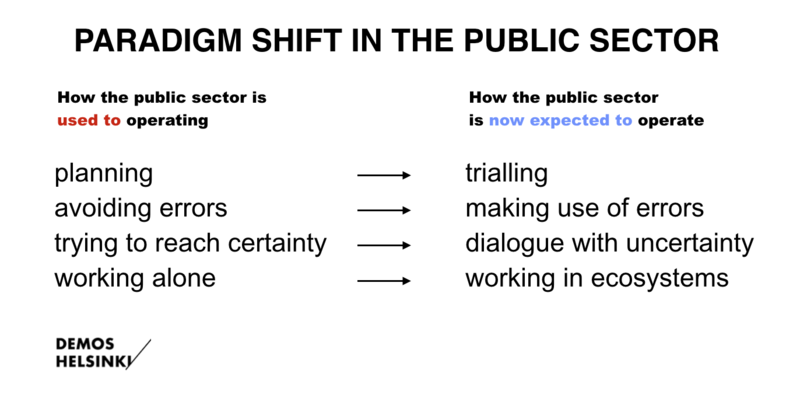 The model – commissioned by the Prime Minister’s Office – enables ministries and public sector actors to engage stakeholders in the policy-making process and test what works rapidly and reliably. 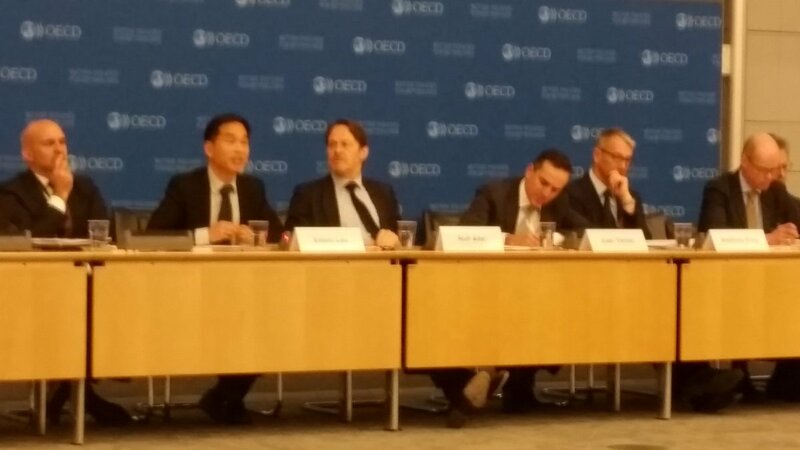 Edwin Lau speaking at the HQ of the OECD. Of course, it is not only Finland who are experimenting with policies. Chad Hartnell from Canada’s Privy Council Office brought up that Canada has ambitious aims for experimentation. Furthermore, over the last year the world has seen a wave of different basic income experiments and related plans, ranging from Finland to Kenya, India and San Francisco, US. In Finland, The Finnish Prime Minister’s Office recommends that Finnish ministries utilize the model for running policy trials. At the moment, there are 25 experiments conducted by the ministries. Demos Helsinki’s Governance Innovation Unit is working on policy trials with four different ministries. The trials range from the field of social and health issues to improving job centre services and the digitalization of municipal services. Already, this work has shown that experimentation requires new skill sets: the ability to set up experiments, evaluate them and learn; the ability to work with different actors; and the ability to turn results into policies. ”Experimentation gives you big feedback loops. I believe that it is the future of the public sector,” concluded Heinonen.